CECA 2020 aims to develop a new generation of high-tech upper prostheses, able to restore motor and sensory skills of amputees. The project operates on two main clinical scenarios: cases of partial or complete amputation of hand (transradial amputation). 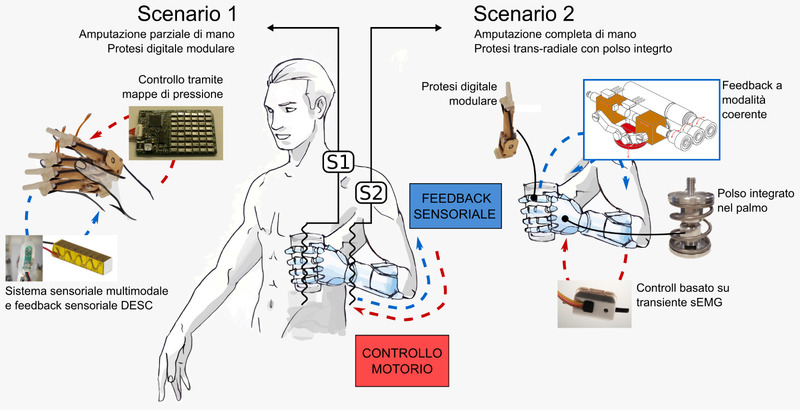 In cases of partial amputation, CECA 2020 represents the natural evolution of the PPR3 research project, also funded by INAIL, and aims to test passive cosmetic prosthetics with sensory feedback, motorized prostheses with tactile sensors and systems for non-invasive control and sensory feedback. 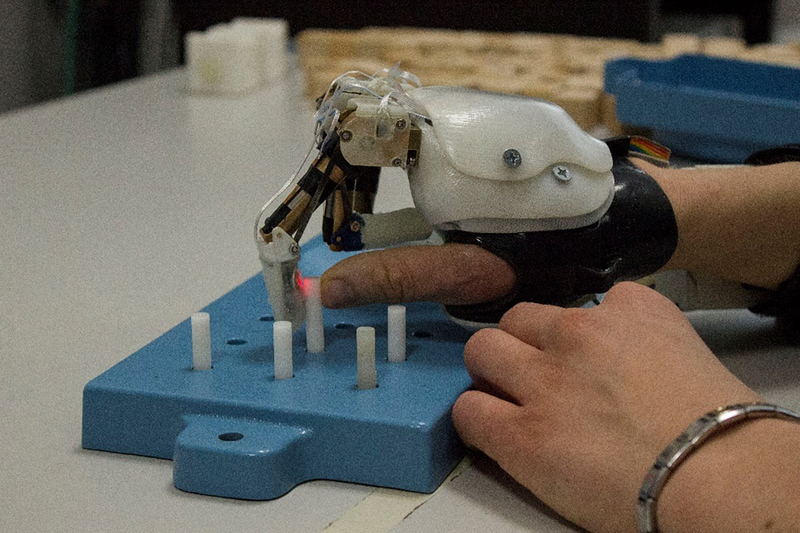 In cases of complete amputation, CECA 2020 supports the mission of the Artificial Hands Area of the BioRobotics Institute to develop and validate multi-articulated and sensorized hand prostheses. 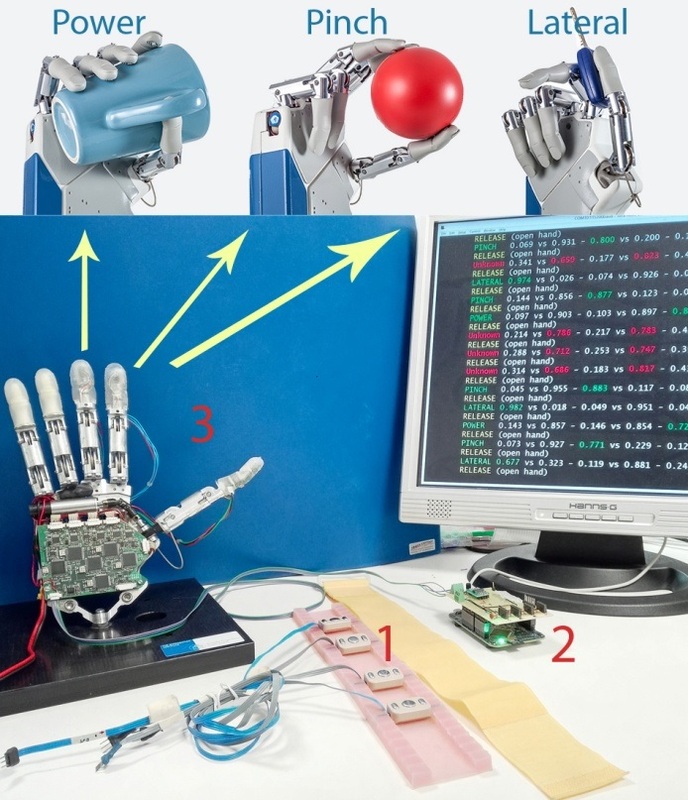 While retaining specific objectives about realization of hardware components (innovative transmissions, sensors and systems for control and sensory return), CECA 2020 is part of a broader research context and in synergy to H2020 and ERC projects: MYKI (bidirectional MYoKInetic implanted interface for natural control of artificial limbs), focused on the development of innovative interfaces of prosthetic control, and DeTOP (Dexterous Transradial Osseointegrated Prosthesis with neural control and sensory feedback), focused on the study of prosthetic solutions through the osseointegration. 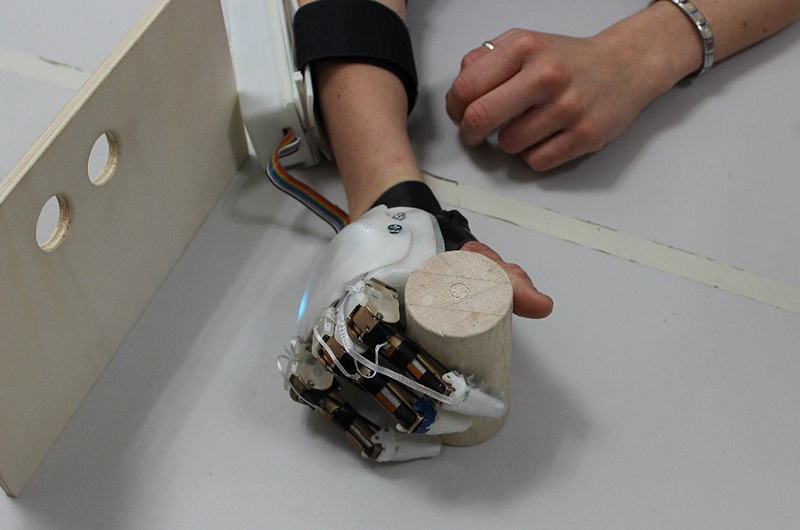 Thanks to an interdisciplinary approach that combines cutting-edge research in the fields of biomedical engineering, robotics and neuroscience applied, CECA 2020 promotes a new frontier of devices that, although a prototype phase, allow to restore the movements of the human hand. D. Barone, M. D'Alonzo, M. Controzzi, F. Clemente, C. Cipriani, A Cosmetic Prosthetic Digit with Bioinspired Embedded Touch Feedback, 2017 IEEE-RAS EMBS International Conference on Rehabilitation Robotics ICORR, London, UK, July 17-20, 2017. 3rd place at the RehabWeek 2017 Best Poster Competition (>500 posters participating).